Alhambra Instituto was established in 1980. It is located 100 meters away from the beach and only 15 minutes by bus from city centre. The school is situated in Pedregalejo a wonderful Spanish beach area of Malaga. After more then 35 years of hard work and dedication, our Spanish language school have become internationally renowned and the results of our research are used among experts of language education worldwide. Our committed staff consists of highly qualified native Spanish-speakers that turn to account the extensive experience of our institution. 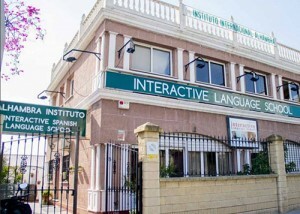 Alhambra Instituto is the first language school in Malaga dedicated entirely to Spanish courses for foreigners, with the use of interactive multimedia blackboards in every classroom. Whether you want to teach Spanish and travel or change your career for the long-term, learn to teach Spanish with Alhambra Instituto and you will be a step above the crowd. Develop your practical teaching skills straight away, alongside theoretical knowledge, with lots of support and advice from our teaching experts and start your future today. Learn to teach in Malaga, Spain. 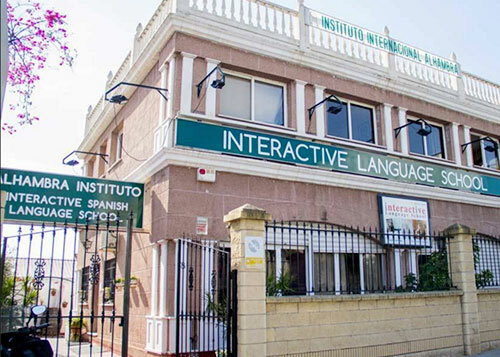 Alhambra Instituto offers non-native Spanish Teachers further training courses to improve the language. We offer 25 lessons divided over a week. The school has years of experience in the field of teaching Spanish as a foreign language. The courses are an opportunity for the Teachers to update their language skills and to practice with native persons, what makes it easier to learn faster. The native teachers are highly qualified and able to teach many points in a short time. With our courses for teachers, supports, materials and network, we are at your disposal to help you enhance your professionalism. We have a number of opportunities both for those who are at the beginning of the profession and for those who already have several years of experience. The course will consist of 25 hours per week, during 2 weeks. During the first week, the first 2 hours of the day we will lear more about hight level of Spanish Grammar. We will teach you not only the grammatical rules in a hight level, but also we will teach you how is the best way to explain to yours students, and how they will understand in a better way. During the last 3 hours the teaches will create their own exercises. They will prepare new material for the students, the will be able to create new games that will help the teacher during their classes, to make more dynamic and interactive their lessons. The second week is even more interesting, the teachers will learn how to use a interactive platform, where they will be able to save some new educative material and share them with other teachers and future students. It is called MODDLE, and it is a platform that is really used in the european Universities and that is very useful to organize the work, and create new exercises and documents online. The last part of the course is a presentation. Each teacher needs to prepare a Spanish lesson for foreigners without using their own language. the presentation will be evaluated by teachers from Alhambra Instituto. Oral expression in the Spanish lesson: activities to work the oral expression from A1 to C2 level. More than the bingo numbers: new games in the Spanish lesson. We get update: the e-learning platform Moodle. ICT resources in the Spanish lessons: from PowerPoint to the digital board. Using video as an educational tool in the ELE lesson. I wish I could understand the subjunctive: teaching the subjunctive in a enjoyable way. Informal Spanish: idiomatic expressions through context. Improve your orthography: use of accents in Spanish. Eres listo or estás listo? Changing the meaning of the adjectives with ser or estar. Travel by Spanish and Latin American literature. Teaching cultural aspects through educational projects. Guidance by a personal tutor. How to teach grammatical lessons. Learning how to create attractive lessons. Variations how to let grammar look interesting. How to arrange the vocabulary lesson in a different way. Working with new technologies e.g. MOODLE. The methods to use new technology. How to use other medias in lessons like audiovisual medias. Using old and new methods to teach. Getting to know Spanish culture. Political, geographical and historical developments. Teaching Spanish customs and culture. Alhambra Instituto offers Spanish teacher courses every summer of the year and our teachers have years of experience. Participants profit from the different styles of teaching. Up-to-date information on Spanish language, culture and literature is part of the program. The course is designed to provide the teachers with suggestions and new ideas, which they can then put into practice after returning home.